I was an accidental jerk in fourth grade. I’m still totally embarrassed by it. It turns out even nice, otherwise well-intentioned kids can get caught up in accidental jerkiness. See, fourth grade was the pinnacle of my popularity. I hadn’t grown into my shyness yet, so I was silly and outgoing. My friend group was comprised of all the blonde-haired girls in class. I didn’t know it at the time, but I was part of a clique. Most of the time we were nice and inclusive. But sometimes we’d block kids out without even realizing what we were doing or why. For instance, one day I got the brilliant idea of creating a language. We’d talk in made-up words and no one would know what we were saying except other girls from our friend group. I pitched the idea to my friends: Wouldn’t it be so funny when the boys couldn’t tell what we were saying (not that they’d bother to stand around and listen)? Wouldn’t it be so funny when the teacher couldn’t understand our secrets? Wouldn’t it be so funny when Amanda couldn’t understand us? Amanda was different than us. She was a strawberry-brown-haired, freckled, rough-and-tumble tomboy. She was sometimes abrupt and grating. She didn’t like boys, she didn’t want to talk about Terilyn’s amazing wardrobe, and she definitely wasn’t interested in hearing my readaloud of the illicit makeout scenes in my new book, There’s a Girl in My Hammerlock. 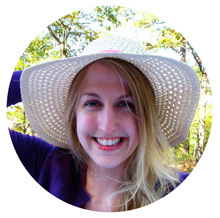 She just didn’t fit in with us — or so I told myself to rationalize why we didn’t include her. One day out of the empty blue sky, Amanda invited me to her house for a sleepover. I don’t know why she did it. Maybe she was desperate to connect with someone — anyone — in a class full of kids who had decided she wasn’t friend material. Oh, it hurts to write that, because how many times since then have I been that girl? I don’t know why she invited me . . . and I don’t know why I went. Sadly, I think part of my motivation was the desire to do some Mean Girl reconnaissance. Was she as different as we thought? Was her family weird? Did she have lame hobbies? The more innocent part was just wanting to go have fun at someone’s house. Regardless of why I went, I went. And you guys, from the moment I walked in the door, Amanda and her sweet mother (who I now realize determined to help her daughter make friends — which gives me another pang in my heart) were wonderful to me. They took me to Discovery Zone, one of those slides-and-ball-pit places, and we raced around and jumped and played like hyenas. Then we went back to their house, ordered pizza, and stuffed ourselves while laughing through Amanda’s favorite movie, Tootsie. I remember feeling a mixture of extreme joy and extreme guilt all through the evening. My thoughts cycled between, This is so much fun! I love being with Amanda! I want to hang out all the time, and, Wait, this is the girl I left out. Why is she being so nice to me? Why is her mom being so kind to me? I don’t deserve this. It was a confusing but important lesson for a fourth grader who was due for it. Amanda and I didn’t become best friends, but I did refuse to ever treat her badly again. She was included in my conversations at school. She was invited to my birthday party along with everyone else. And still to this day when my first glance reads someone as different or even unlovable, I remember the lesson Amanda taught me about the inaccuracy of those first glances. I remember what she taught me about hospitality and friendship. I guess I’ve been thinking a lot about the kind of person I want to be this week. With the New Year right around the corner, you probably have too. Who will we resolve to be this coming year? What will we prioritize? Resolving and goal-setting (and goal reaching!) is the hard part. I can’t help you with that beyond sharing my stories. But at least I can help you take care of the easy part of New Year’s Eve: the food. 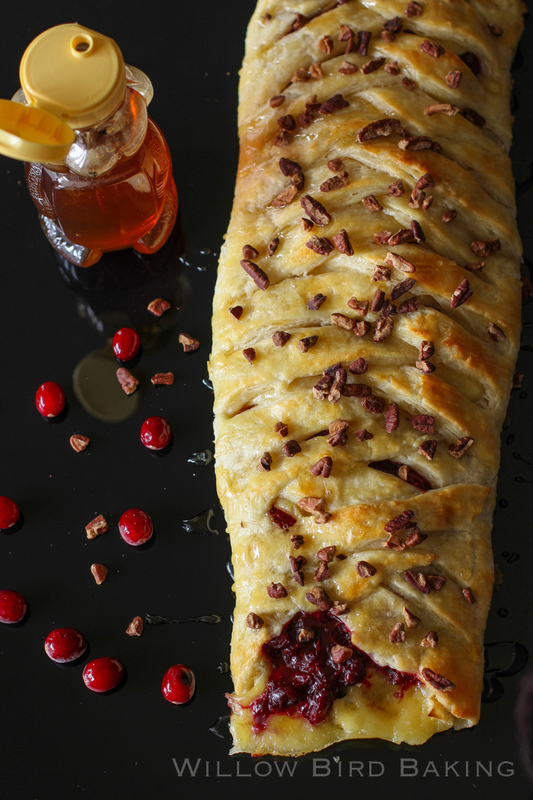 This gorgeous Honey-Drizzled Cranberry Brie Pastry Braid is a sophisticated, beautiful appetizer that’s shockingly easy to make. The dough is a dream to work with and the whole thing can be whipped up in an hour. Most importantly, it’s delicious! I hope you and your New Year’s Eve guests (or, let’s be real, you and your partner in your PJs) will enjoy it! P.S. Do you talk to your kids about how to be a good friend? Do you help them connect the dots about how other people feel? You might be helping another little Amanda out there. Toast pecans for this recipe by baking them on a baking sheet for 4-6 minutes at 350 degrees F, tossing occasionally, until fragrant. If you wish, you can prepare this braid in advance: just complete all steps to assemble the braid, cover it with plastic wrap on the parchment-lined baking sheet, and refrigerate overnight. Set it out on the counter in the morning as the oven preheats, egg wash it, and then bake as usual. 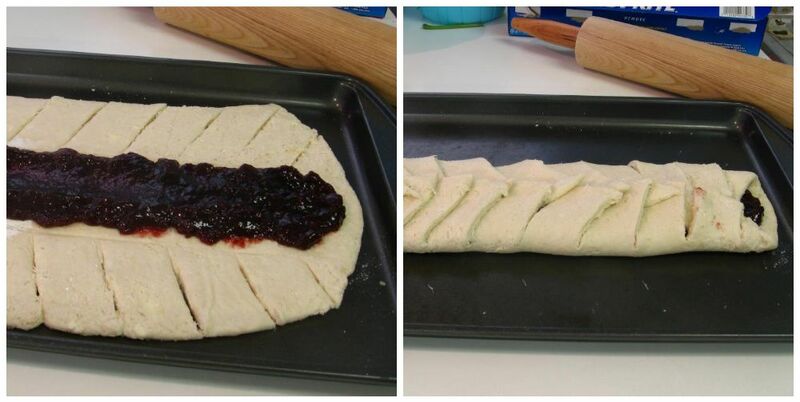 I included some photos below that show the process of marking and assembling a Raspberry Almond Braid. It’s super easy to do, but a little fiddly to explain in just words, so hopefully the photos will help. Make the cranberry sauce: Bring cranberries, orange juice, water, honey, cinnamon, and salt to a simmer in a small saucepan over medium heat. Cook until the cranberries break down and the sauce thickens, about 10 minutes. Allow this to cool. I set mine in the fridge to chill after a few minutes. Make pastry braid: Preheat the oven to 425 degrees F. In the bowl of a food processor, mix the flour, baking powder, and salt. Add the cream cheese and butter into the flour mixture and pulse to cut the fat into the flour (about 6 pulses). Add the milk and almond extract and blend until it’s just starting to come together into a loose dough. Very lightly flour the top of the dough and place another sheet of parchment paper on top. 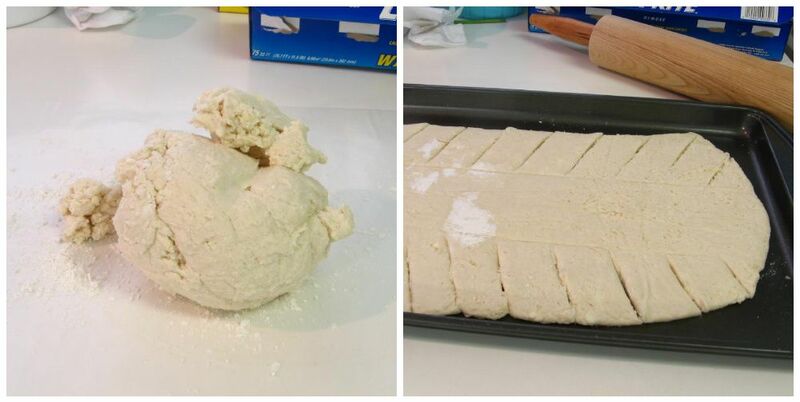 Between two sheets of parchment paper, roll the dough to an 10- by 12-inch rectangle (I lift the paper off every now and then and flip the dough and repeat on the other side, to ensure the dough isn’t sticking). Remove the top sheet of parchment and discard. Measure and mark the dough lengthwise into thirds. Fill the middle third with slices of brie. Top these with your chilled cranberry sauce and toasted pecans. Continue assembling the braid: (Remember, there are photos below to help visualize this step!) Make diagonal cuts at 1-inch intervals on each the long sides. Do not cut into the center filling area. Fold strips, first one from one side and then one from the other side in an alternating fashion, over the filling. It will now resemble a braid. Use the sheet of parchment to carefully transfer your braid to a baking sheet. At this point you can cover and refrigerate the braid overnight, or you can continue to the next step. Bake the braid: Brush the pastry braid with the egg wash mixture. Bake in the 425 degree oven for 14-17 minutes, until the dough is cooked through and the filling is bubbly. Don’t worry if some oozes out. 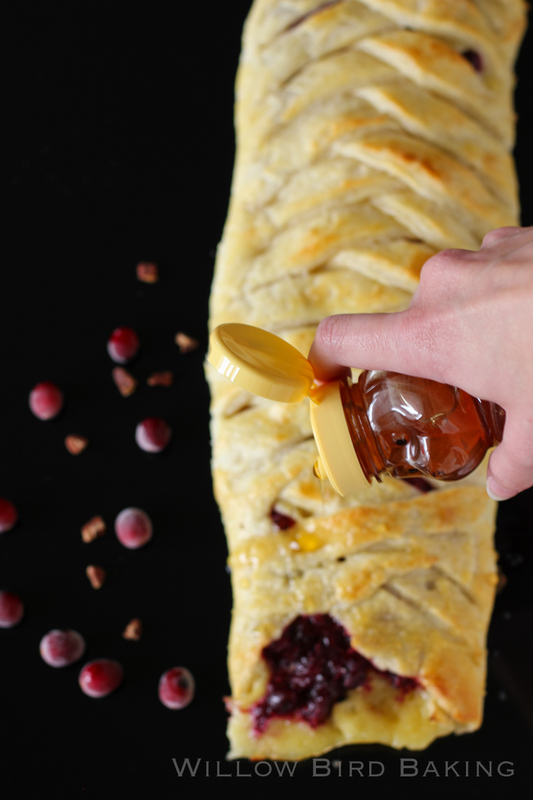 Let the braid cool for 30 minutes before generously drizzling honey over top, sprinkling some extra pecans, slicing, and serving. What a beautiful pastry braid! And such a sweet story. What a great reminder to always be mindful of how we treat others, even when they don’t “fit” our way of thinking. And this braid is gorgeous. I am a total brie and fruit freak…so I am now craving it all over again! This braid is gorgeous! Love the cranberry brie combination! I absolutely love this braided pastry but I also loved that touching story! Great reminder for us to all think about coming up on 2015. Thank you!! On my bucket list is to learn how to braid this kind of pastry. Yours is spectacular, Julie. Your “how to” photos are perfect, and have given me the confident that I can do this. What a beautiful presentation this would make for a party. I’m so there! Happy New Year, and I look forward to all the new recipes and stories you have to share. My hubby bought be a shiny, new food processor for Christmas. I think I just found my first recipe to test it out! 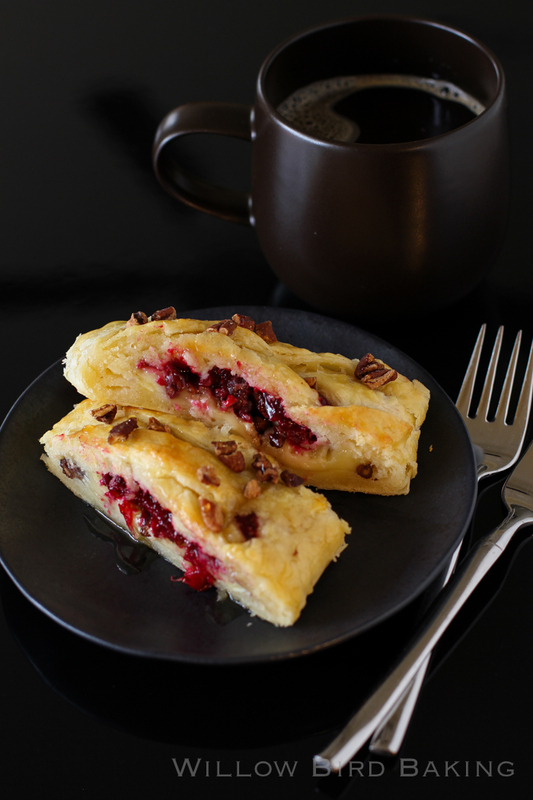 Love the combination of cranberry and brie in this pastry! I am going to try this! It looks fantastic. 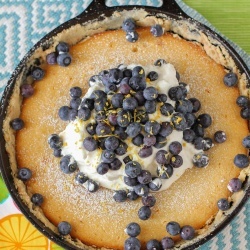 Thank you for making your recipes printable with a click! Julie, I first saw this sneak peek on IG and was rewarded with not just a mouthwatering recipe, but a wonderful story and life lesson. I remember those tricky adolescent days well, and I revisit them every day with my daughter now. I feel there is always a lesson to learn when it comes to friendship and how to be a good friend! I just hope she learns it well. Wow! That looks fantastic! Thanks for sharing the recipe. I’m anxious to give it a try! I have no idea why I should have such a reaction to your story other than I am a mom and moms get emotional sometimes, but I am the mom of a fourth grader and that really made me tear up. And thank goodness you had a good time at the sleepover!–I was worried it was going to end badly lol. I think it is hard to make new friends at that age–my daughters are in 2nd and 4th grades, and I have definitely seen more hunkering down with the friends you already have if that makes sense as they get older. The bread is gorgeous–but the story was even better. What a lovely flavor combination. I adore bringing them all together in this gorgeous braid! Julie, your recipes draw me to your blog; your reminiscences keep me reading. This was a heart-touching story. Sigh. Now it’s time to go bake this amazing braid. Thank you for the recipes; thank you for your stories/insights. Have a lovely weekend and God bless. Really enjoyed reading your post. The picture of this fantastic bread drew me in and reading about lessons learned in how to be a friend was bonus. Thanks! Now I wonder, would I be able to make an acceptable gluten free version of this bread? Has anyone tried it? I’ve got a pretty decent flour mix I use for baking so I may give this a whirl.